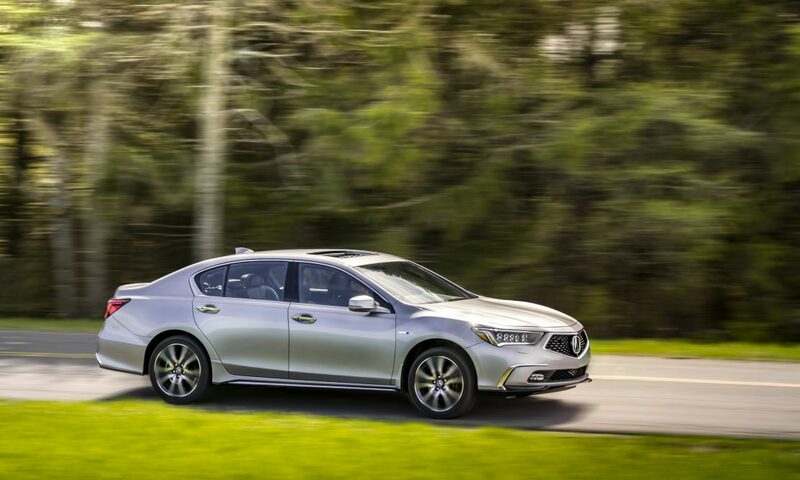 Last year, only 55 people bought an Acura RLX in Canada. Fifty-five. 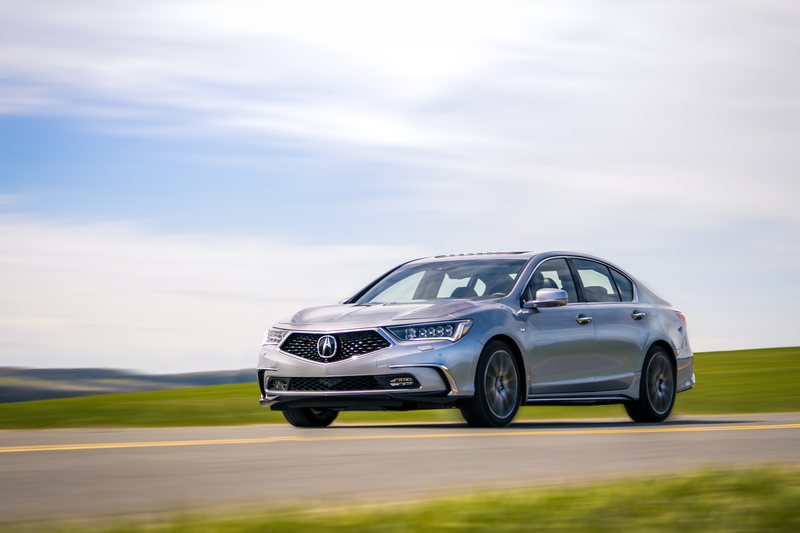 Imagine, this means that Acura’s flagship sedan is rarer than a Porsche 911, or a Ferrari 488. It’s even more ridiculous when you consider that Honda’s own NSX supercar is almost just as popular. And that’s sad, really, because the RLX is an interesting sedan. It has NSX-inspired hybrid tech. It’s properly quick. Comfortable, and reliable, all at a more attainable price than its European rivals. Yet, people don’t give a crap. Last year, the car got a major facelift. I’m not sure if that’s going to help it stay alive, but I do know the RLX deserves more attention. 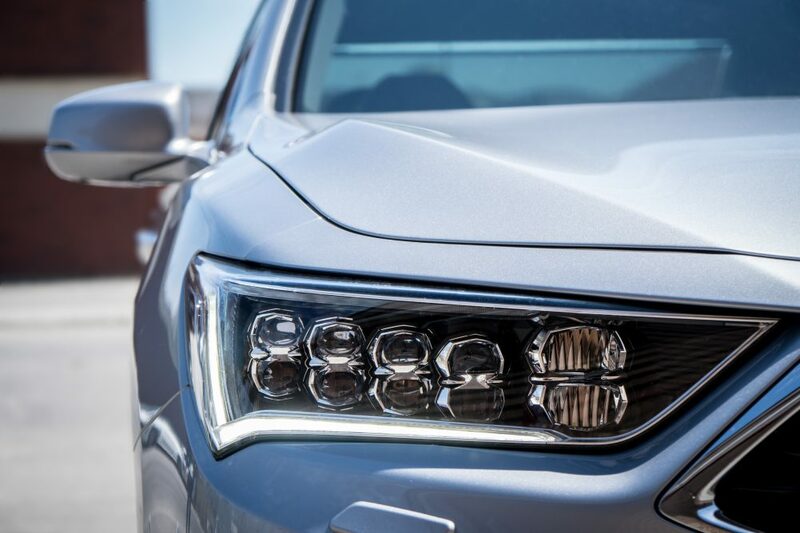 Now, I know sedans are taking a beating to SUV’s these days, but if Acura made more publicity about this car, people would probably take it a little more seriously. 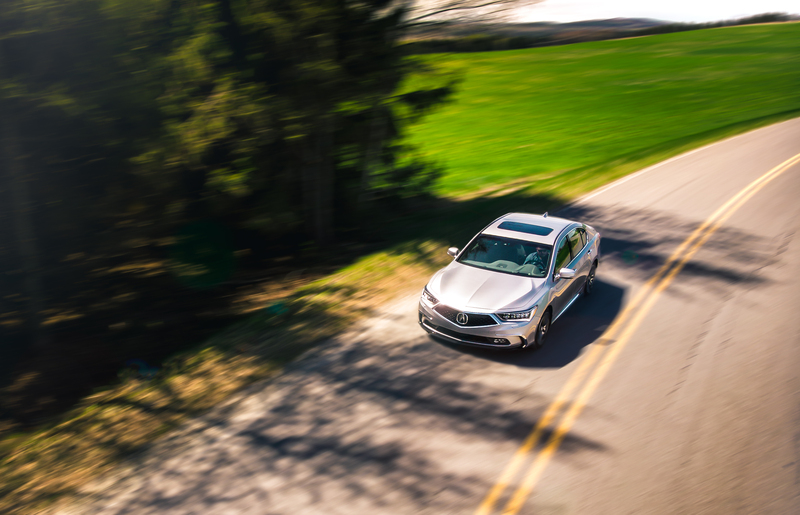 There are no commercials, no online promotions, barely no cars on the press fleet for journalists to review, and good luck finding one at your local dealership. If you happen to spot one, it’s probably been collecting dust for quite some time. Also, why isn’t this car called the Legend anymore? Anyway, when the RLX was released in 2013, it was a big deal. It was one of the first examples of electric motors doubling down as an environmentally friendly solution and as torque vectoring all-wheel drive. Sadly, the sedan wearing the tech was way too subtle for consumers to take notice. The facelift at least tries to make things a tad more interesting. 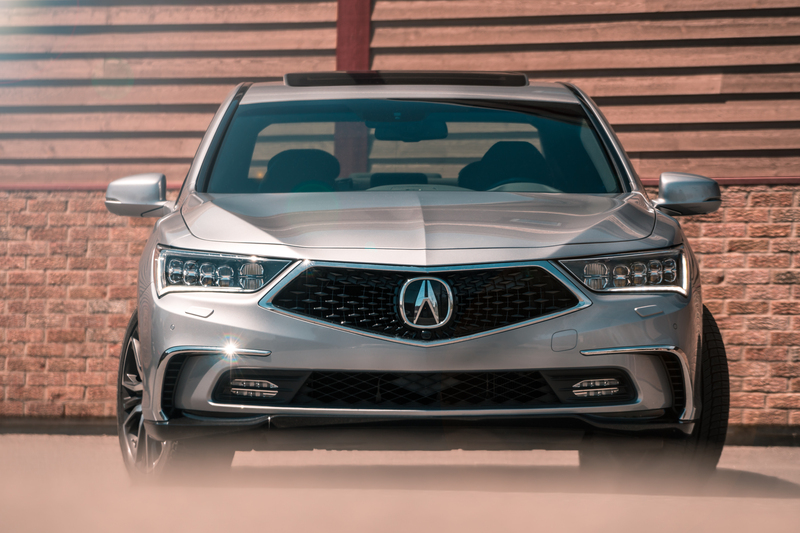 The RLX now gets Acura’s new face, with larger headlights, a reshaped hood, and a now opened-up grille, which, let’s face it, is much prettier than that ghastly chrome beak from past Acura’s. The wheels are bigger, prettier, and the entire rear end was redesigned, while the interior got a series of cool new contrasting color combinations. 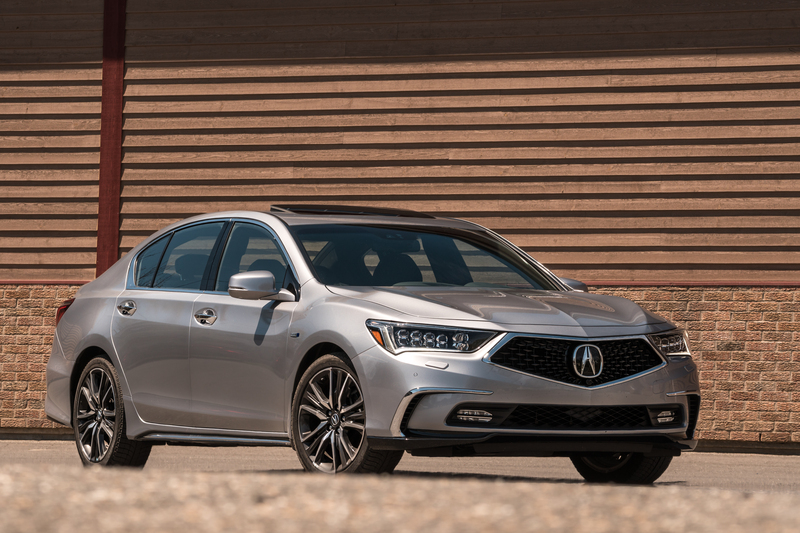 It’s a clear improvement, but the RLX sadly still resembles some generic no-name automobile you’d see in a car insurance commercial. 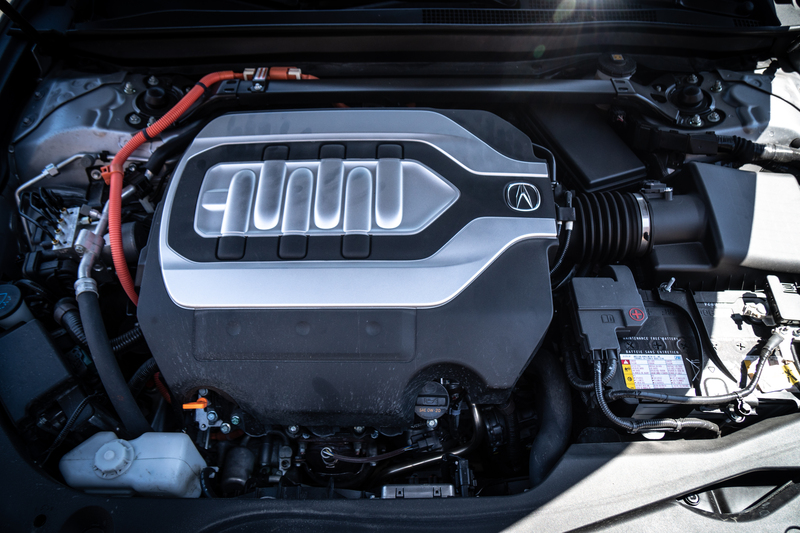 The thing is, to understand the RLX, you need to drive it. Or remove the body to see what’s underneath it. Since you can’t do that, allow me to explain how brilliant this bit of engineering is. 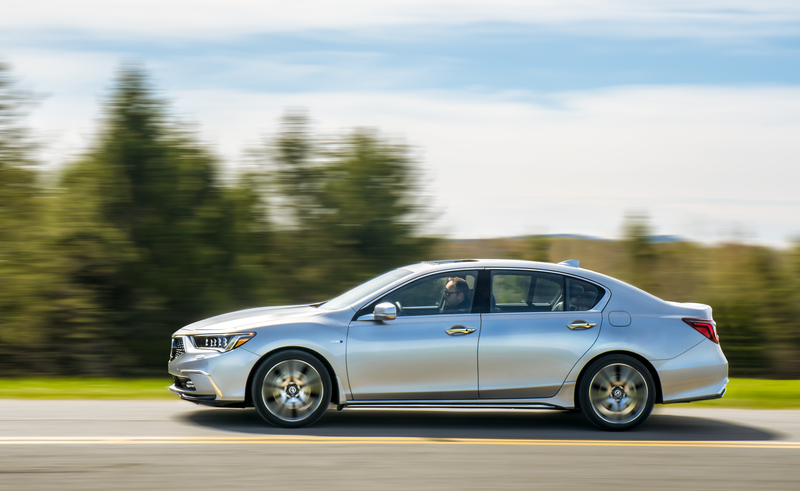 On the road, there’s no denying the RLX’s hyper smooth and immensely comfortable cabin, both front and rear. Accelerations are quick, but never brutal, it’s all impeccably buttoned down. 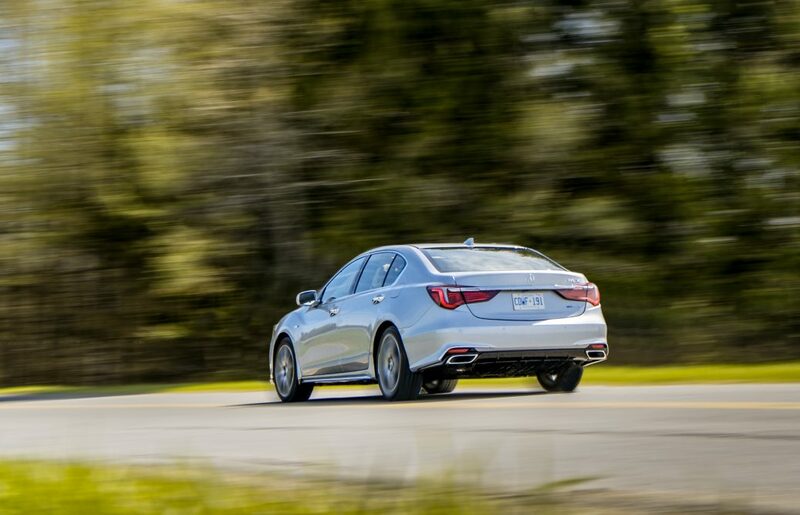 In the bends, the RLX simply claws its way around, and gunning the throttle on corner exit will make that rear end pivot. It’s all frankly brilliant, and quite fun. But don’t expect this thing to be a sports sedan, because it’s isn’t. While that V6 makes pleasing sounds, the gearbox shuffles through gears seamlessly, and the witty all-wheel drive system keeps things well planted, the suspension remains soft. I still don’t get why the Honda Civic Si and the Honda Accord get adaptive dampers, but this doesn’t. Then there’s the sad reality that up to 57% of the car’s weight sits underneath the car’s nose. 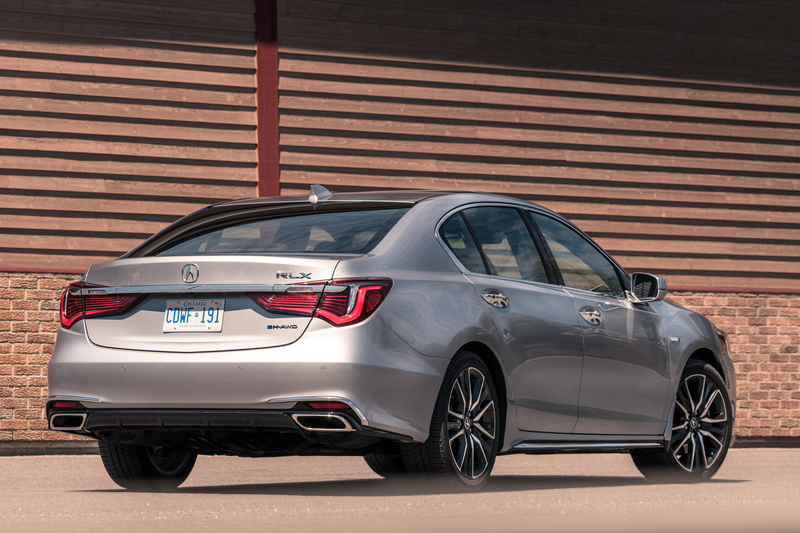 Even with a battery pack squeezed between the rear seat and the trunk, the RLX constantly seeks to dive forward. It’ll basically always defaulting to understeer, even if it has Super Handling All-Wheel Drive. 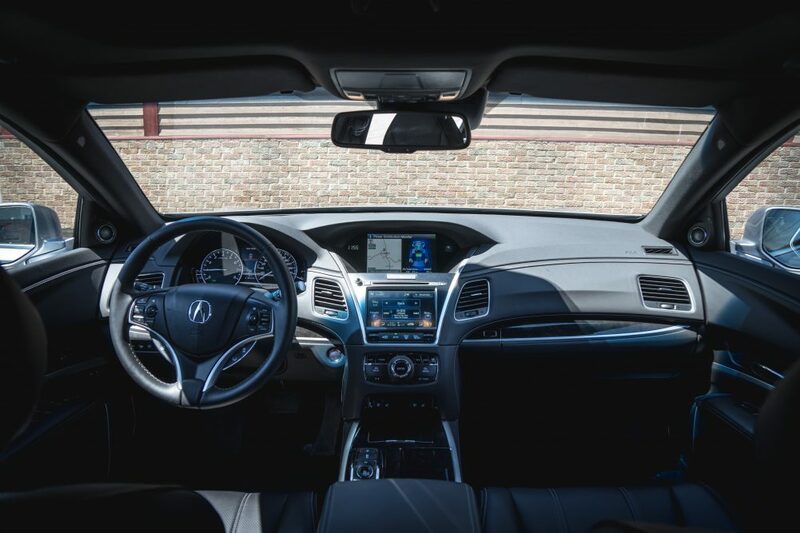 I got to say though, the RLX has a damn fine interior. 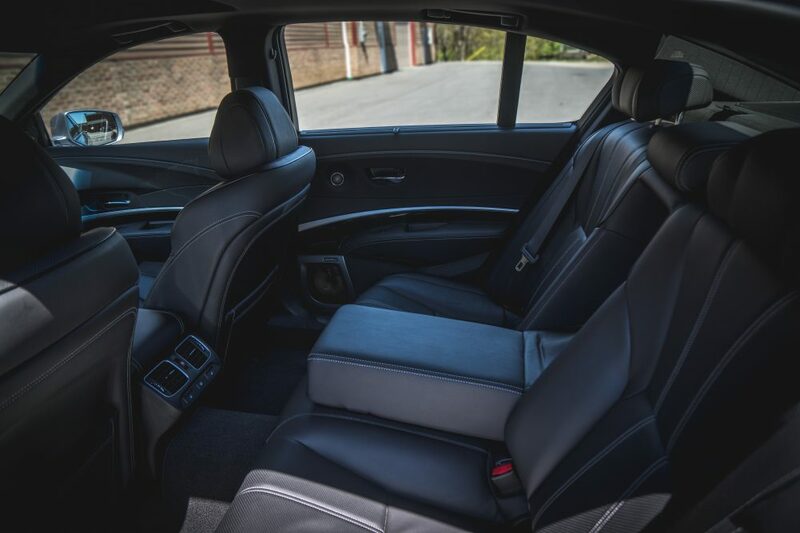 Subtle – like the car itself – but well put together, hyper comfortable and just the right amount of luxurious. I’m not sure about the fake wood trim here and there, but that Krell sound system not only looks solid, it sounds nuts. Except, it’s all controllable via one of the worst infotainment systems ever fitted to a car. 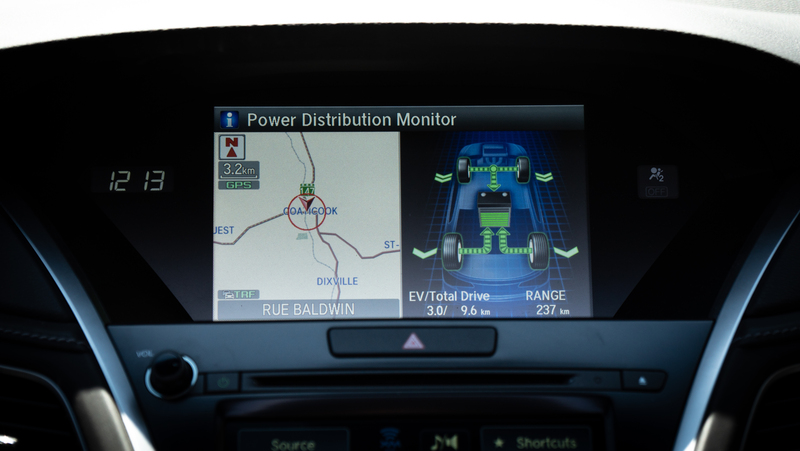 Not only is Acura’s two-screen interface an ergonomic mess, it’s dated and hyper complicated. Controls are unintuitive, menus are set up in nonsensical manner, and there’s no Android Auto / Apple CarPlay compatibility. Also, while that rear bench is roomy for two tall adults, the trunk is tiny for the segment because of that battery pack. Listen, I know you’d prefer buying that MDX because it makes more “sense”, because that’s what “everyone” buys, because you want to feel “safe” behind the wheel. 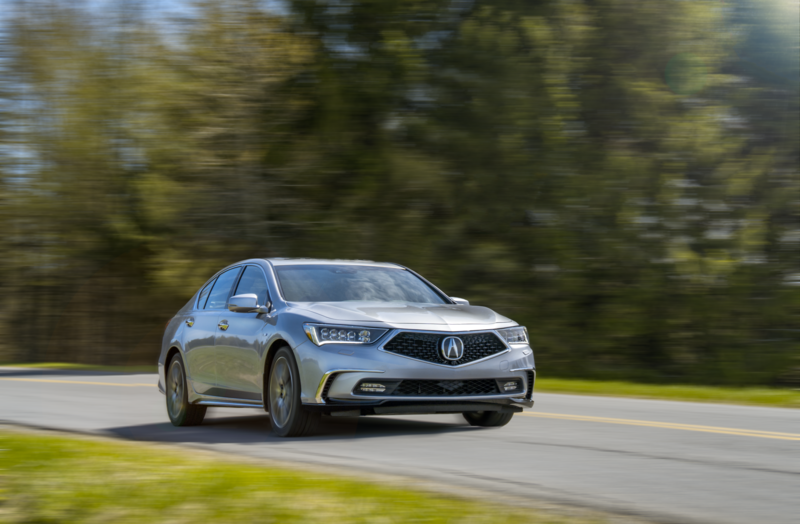 But trust me when I say this, the day the RLX will leave us because nobody gave it the attention it deserves, we’ll all be complaining that Honda has lost its mojo from selling lukewarm mom-mobiles. We had we wanted. It was the RLX, probably the most Honda car Honda has ever made. If, like me, you still actually care about this thing, you’ll be making one hell of a good purchase.